Roses are red, violets are blue, thinking of you the gym. 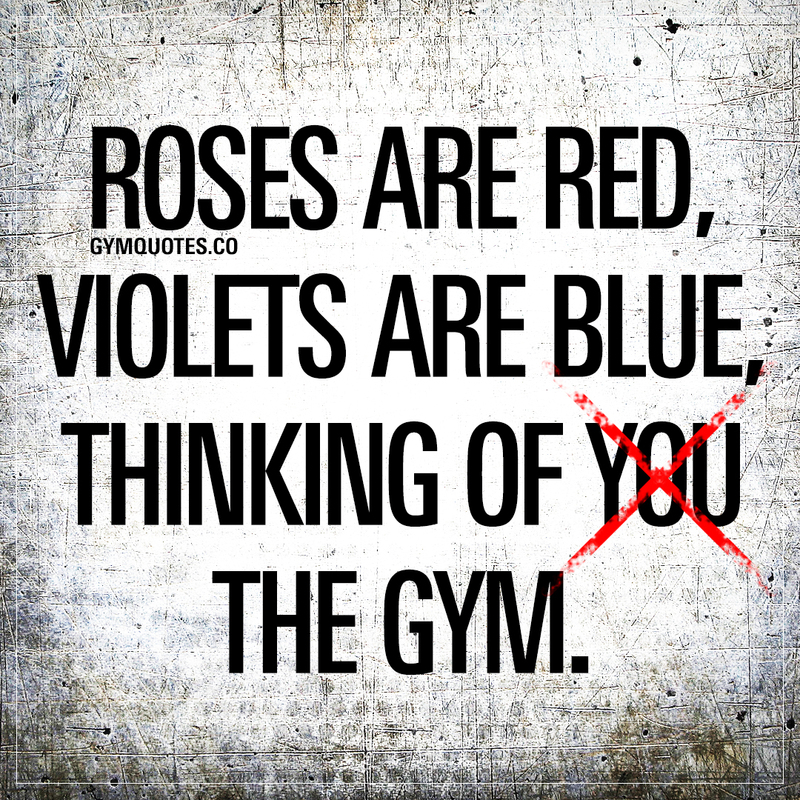 This “Roses are red, violets are blue, thinking of you the gym” quote (image and text) is copyright © Gym Quotes 2018. All rights reserved.